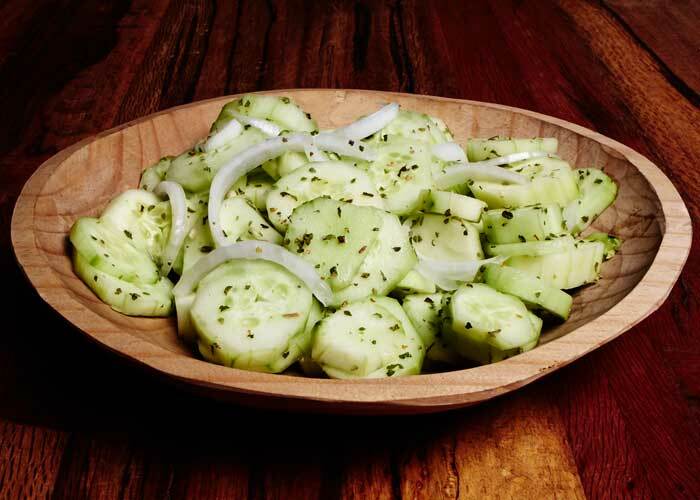 This rustic Mexican cucumber salad, called ensalada de pepino in Spanish, is popular in the city of Cuernavaca, Morelos about 45 minutes south of Mexico City. Serve it as a side dish for carne asada or grilled fish. In Cuernavaca, it is always paired with another dish although it’s great on its own too. It’s perfect on a warm summer afternoon. This salad only has four ingredients, five if you count the salt: cucumber, white onion, Mexican oregano and lime juice. You might think a four-ingredient salad sounds dull but it’s not. It’s bright, fresh and has a surprisingly bold flavor. The secret is Mexican oregano which has a sharper flavor than Mediterranean oregano. 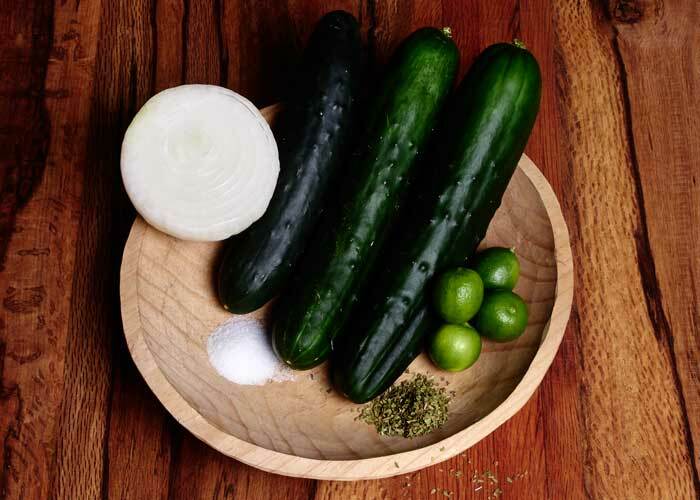 The sharp flavor of the oregano is balanced nicely by the mild flavor of the cucumber. It only takes a few minutes to make. This is a great salad to prepare if you are short on time. It only takes 10 minutes to make and you probably have all of the ingredients on hand. Mexican cucumber salad - A rustic, fresh tasting, easy to make 4 ingredient Mexican Salad. Very refreshing with a distinct flavor. Popular in Cuernavaca, Morelos. This is not a dainty salad. Be sure to cut cucumbers and onion are cut into substantial slices, about 1/4" thick. It's is best served the same day that you make it but it will keep for a day in the refrigerator. Use Mexican oregano if possible. It has a stronger, sharper taste compared to the taste of Mediterranean oregano. Look for it in the Mexican section of the grocery store. It shouldn't be too difficult to find. You can substitute 2 teaspoons of apple cider vinegar for the lime juice if you prefer. Let us know what you think about the recipe after you have tried it. The ingredients call for 4 limes, but the directions say squeeze the juice from the 2 limes. So, how many limes are needed? 2 or 4?